100+ stock and ETF picks from the nation's leading financial newsletter advisors for the coming year! Each year in December the MoneyShow editorial team asks the nation's leading financial newsletter advisors for their favorite stocks for the coming year. Conducted for over 35 years, the annual Top Picks report features the advisory industry's most trusted and respected experts known for their high-quality research and long-term track records of success. This year’s report features ideas that range the gamut from out-of-favor value plays and turnarounds to growth stocks on the leading edge of biotech, technology and social media. The report also features under-the-radar small caps to some of the world’s most best known and iconic names. 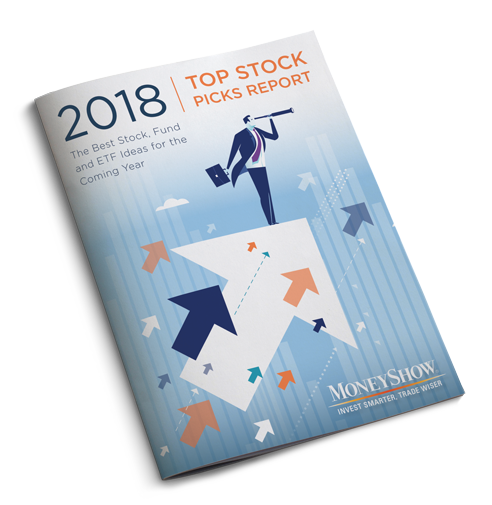 Sign up and automatically receive MoneyShow’s 2018 Top Picks Report.